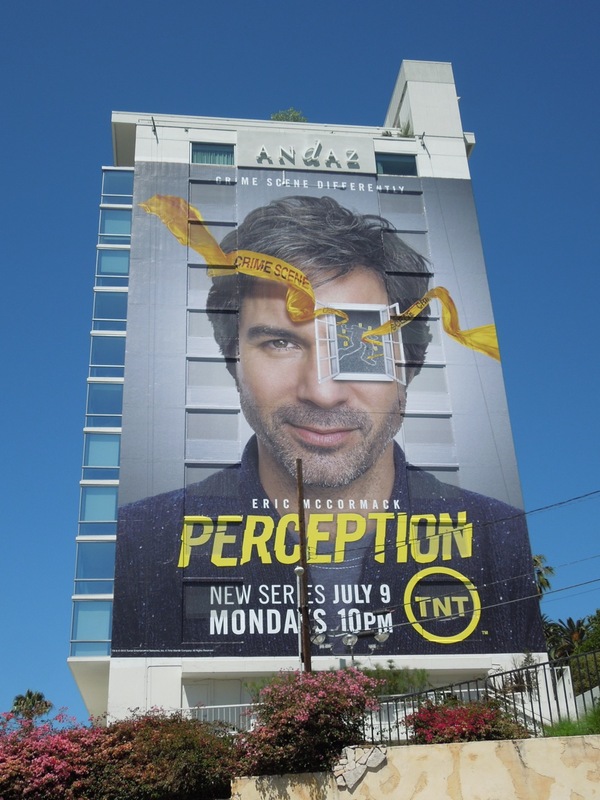 Daily Billboard thinks it's nice to see Eric McCormack back in a big way, quite literally. 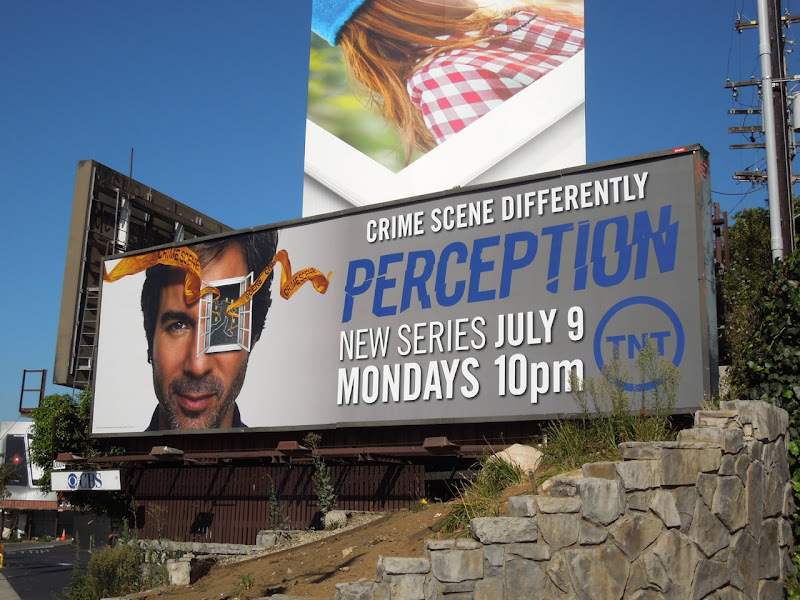 The Will & Grace star is trading in comedy for a different kind of crime scene series on TNT, called Perception. The actor plays 'Dr. 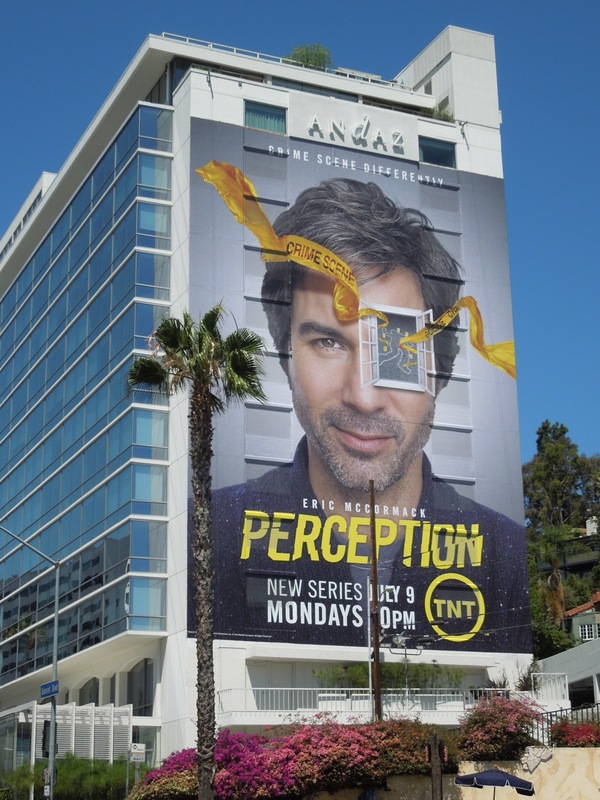 Daniel Pierce', a brilliant yet eccentric professor with paranoid schizophrenia recruited by the FBI to help solve complex cases. 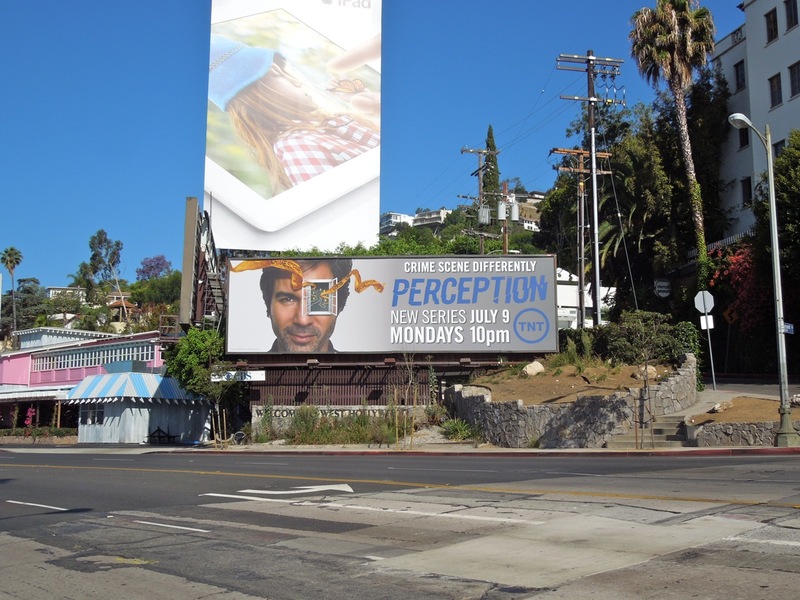 The problem is he's prone to hallucinations, hence this suitably Dali-esque creative. 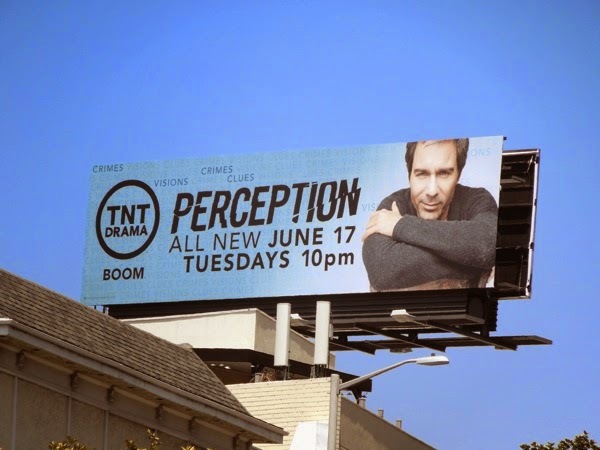 The standard landscape billboard for the new drama series was snapped along Sunset Boulevard beside the Chateau Marmont Hotel on June 23, 2012. 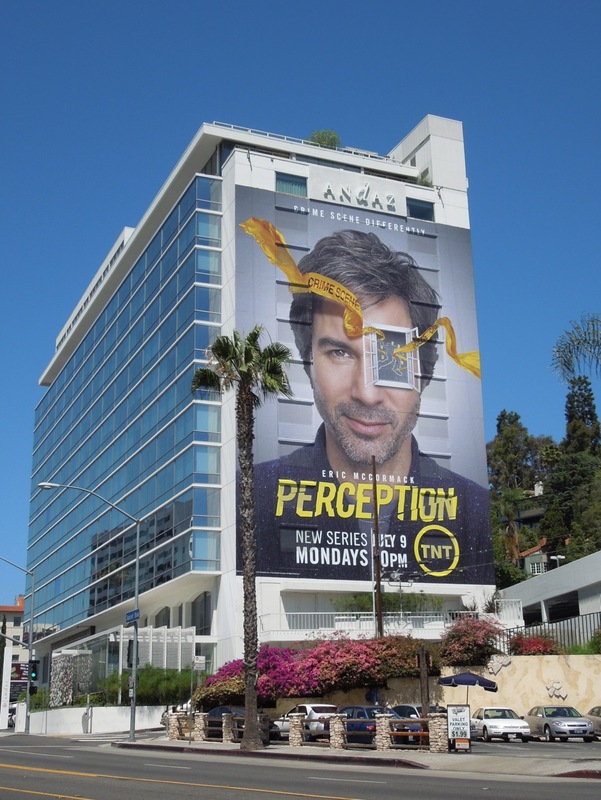 Meanwhile the super-sized version was photographed on the side of the Andaz Hotel in West Hollywood on June 30, 2012. Stick around for the next seven days for another TV WEEK of new series debuts and returning favorites here at Daily Billboard. 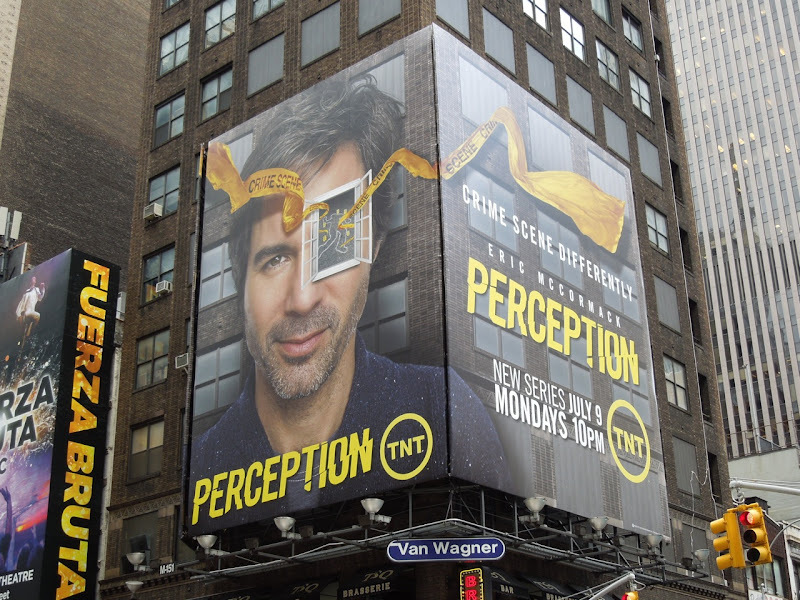 UPDATED: Here's even more support for Perception's first season on the streets of Manhattan near the heavily-traveled tourist haven of Times Square. 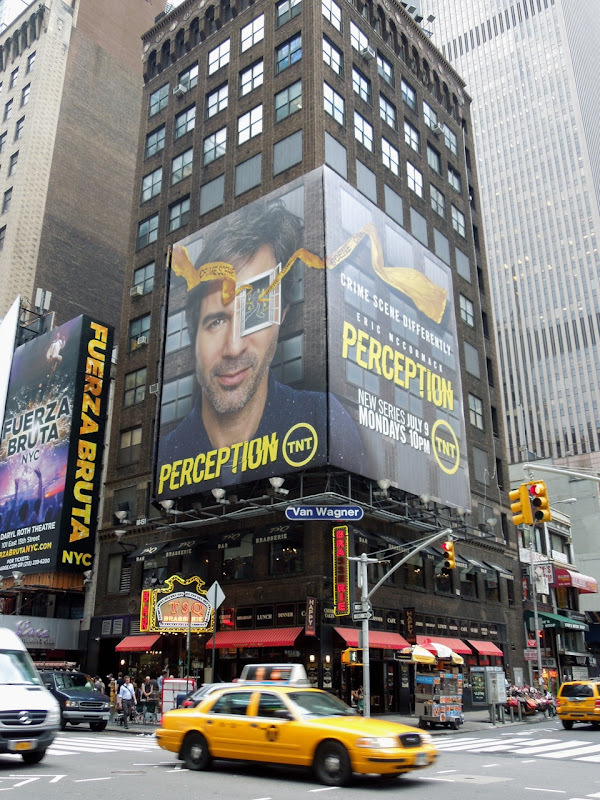 This prime building corner ad site was snapped by Daily Billboard in New York City on August 27, 2012. 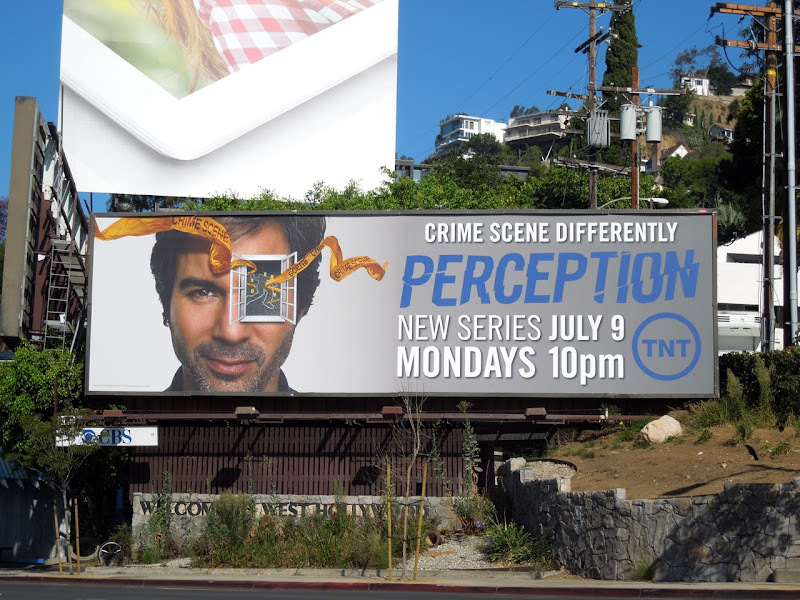 UPDATED: Perception is back for a third season of visions, clues and crime-solving, and here's the official promo billboard spied along the Sunset Strip on May 28, 2014 (although Daily Billboard isn't quite sure what happened to the second season billboard as one never seemed to appear in TNT's usual ad space in the skies of L.A.).